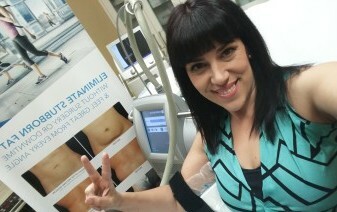 CoolSculpting is a treatment that will freeze away excess fat in targeted areas of your body. It is the non-surgical, painless way of reshaping your body by freezing away stubborn fat and it is available at LV Plastic Surgery! Coolsculpting now has a very special applicator that is FDA cleared to freeze the fat from your upper arms and we have it ready for you! It is time to wave goodbye to the bat wings with a squeeze and a freeze.